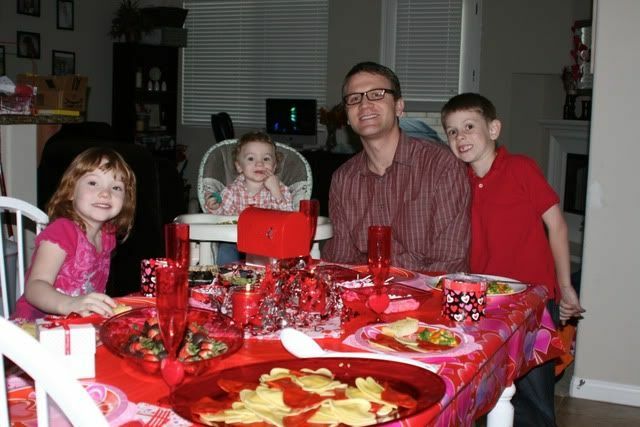 Last year we began a tradition which will probably be around for a while, our fancy family Valentines dinner. Eric and I went out last Friday- helping avoid the crowds, and saving Valentine's Day for something special for our family. 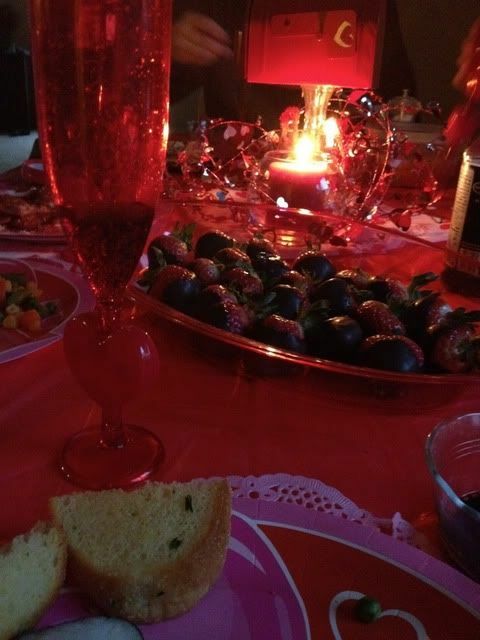 And yes we even ate by candle light It was a wonderful night that we all fully enjoyed and we will definitely be doing it again next year. Do you have any fun family traditions? everything looks so great! I'm sure the kids loved it! This is one heck of a dinner! What a cool tradition to have! 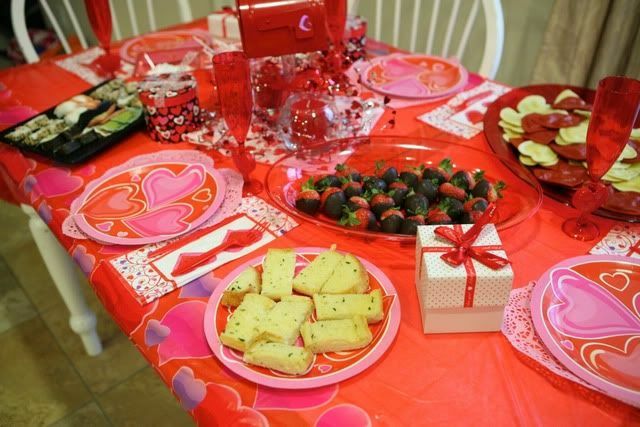 I bet the kids will always remember ya'll were thoughtful enough to spend Valentine's Day with them! They keep her hair red...ha! Love her! Such a cute tradition, I bet they'll carry it on when they are grown with their own families. Looks like you had a blast! Fancy, plus two. Good for you! Great to give your kids such experiences. A wonderful night! LOVE the heart shaped tortellis. those would be a HUGE hit at the gibson home. It looks like it was a fun night! What a cool thing to do with your family. Looks like a wonderful night. I love this idea! I think it's so important to have traditions. My parents were always really good about that and now me and my siblings are still really close! I love your tradition! Did you make the tortellini--that's so cute! We always do a daddy daughter date for Valentine's. Though next year I'll have to find a way to include the boys more. And everything does look fancy! Oh my goodness! That is amazing! I am totally going to Pin this. 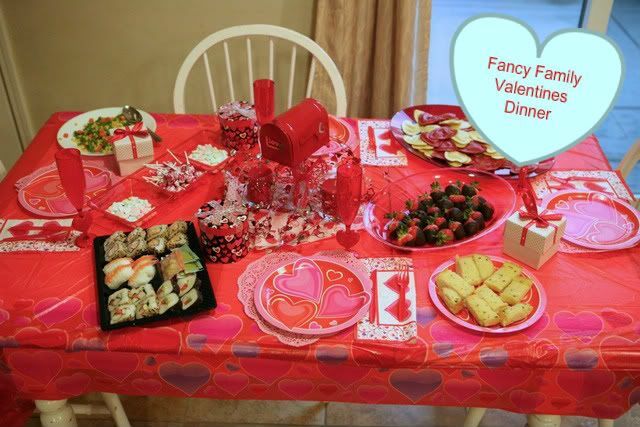 Maybe I'll try this next year to make up for my V-Day pancake dinner failure! Your fancy dinner turned out great! Awesome raviolis! And I also love the strawberry red hair story. haha, so fun!! We will be doing this for years to come too! This is a great idea. I like the idea of going out before the 14th and then saving the actual day to spend with the kids. I may do something like this next year! This is so cool! And looks so awesome! I did this the all the years my kids were growing up and all home - such great memories are made when you go the extra mile as a mom!! We have lots of traditions, some that have been around for awhile and some that change and evolve - I truly believe that traditions help give kids a wonderful family foundation! What a sweet tradition! I would love to do something like that. 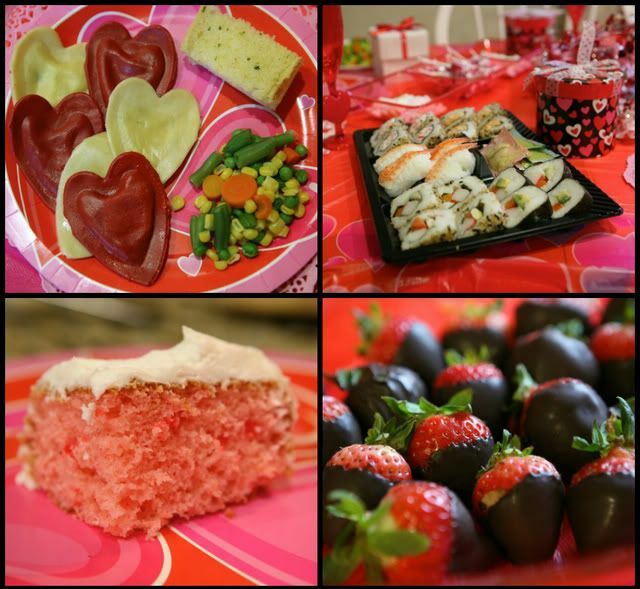 We don't have any valentines traditions, so maybe we need to start making some! I love this idea! 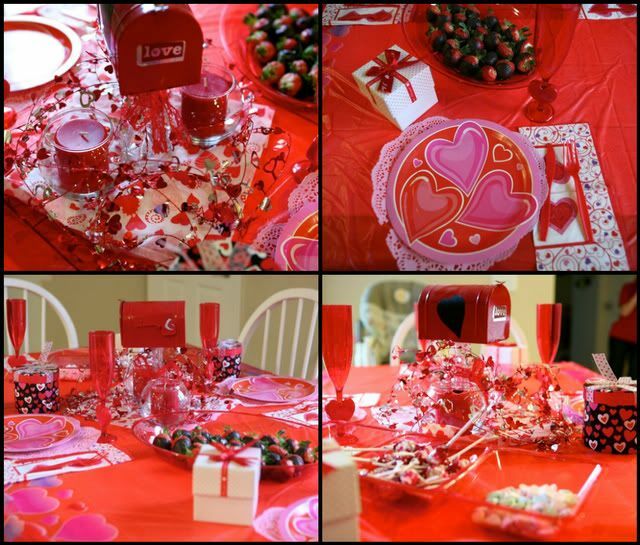 We had a family Valentine's Day last year and it was a blast. My husband and I went out to dinner alone this year, but in the future I'd like to incorporate a second family celebration like the one you planned. The table looks fabulous! I'm sure your kids had a blast! That looks like such a fun time! What a cute and fun idea! I love that you did the sushi for you two. YUM. OMG. All of that sounds so yummy! That slice of strawberry cake is my absolute favorite. And YES to the chocolate covered strawberries!!! What a great idea! We were one of the crazies eating out on Valentines Day. It was all kinds of crazy in Fort Worth!! Unfortunately, music lessons, sports practice and scouts generally impose on our week nights, so it would have been hard to pull something awesome like this off this year. But I bet if I tried hard I could make it happen! !